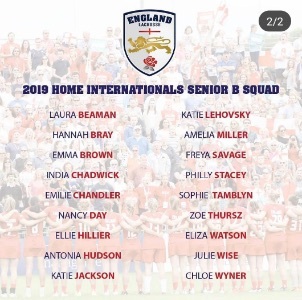 Old Stoics India Chadwick and Philly Stacey have both been selected to play for England Senior B team this Spring at the Home Internationals. This is a fabulous achievement for both of the girls, it is a great honour to be selected to represent your country. See attached photo for the full England Senior B selection list.